Are you a mac user? You certainly know it, all 3D modeling software is not available on the same operating systems. That is why if you are a Mac user, you will necessarily have to pay attention to find a CAD program compatible with your operating system. We know that finding the right 3D software can be a struggle. That is why we decided to help you with that! We made a special compilation of the best 3D modeling software for Mac. These programs will help you to create your best 3D printing projects! Let’s discover our selection right now! Operating system: A parameter to take into account! There are a lot of parameters to take into account while choosing your 3D modeling program, and the operating system is one of them. Some programs will exclusively run with Mac, while some others will only run with Windows. Most of the 3D design programs are running on both Windows and Mac, but there are some exceptions. For example, neither 3Ds Max or the famous 3D modeling software SolidWorks is available for Mac users. So, what is the best 3D modeling software to use with a Mac? Mac users, here is all of the best 3D modeling software for Mac you can use! Blender is certainly one of the best programs to use on a Mac. It is free, open source and providing 3D modeling, rigging, animation, simulation, rendering, compositing, motion tracking, video editing, and game creation. All of these great tools can be used to create animated movies, visual effects but also great 3D printed models. Blender has a flexible Python controlled interface allowing you to create your own tools. Magicavoxel is a free program, and you don’t need any commercial license to download it, and it is available on both Windows and Mac. It as a simple and user-friendly interface which will allow you to use it even if you are a beginner. Are you looking for a program to create voxel art with your Mac, you just have found the perfect software for you. This software is working using blocks, also called voxels. It is really allowing to create quite sophisticated designs. Voxels designs are particularly popular thanks to some games like Minecraft or Monument Valley. Free and open source, Wings 3D is nice to begin with 3D modeling, thanks to all of its basic tools you won’t get overwhelmed. It has some powerful 3D modeling tools and a customizable user interface and a built-in Auto UV mapping facility to add texture to your model! This advanced subdivision modeler is powerful but also easy-to-use, available on Windows, Mac and Linux! If you are a Mac user, you also have the possibilities to use browser-based programs, as they don’t require any specific operating system, you can access these programs from any computer. That is the case with TinkerCAD. This software is particularly good for educational purpose as it is fun and easy to use. 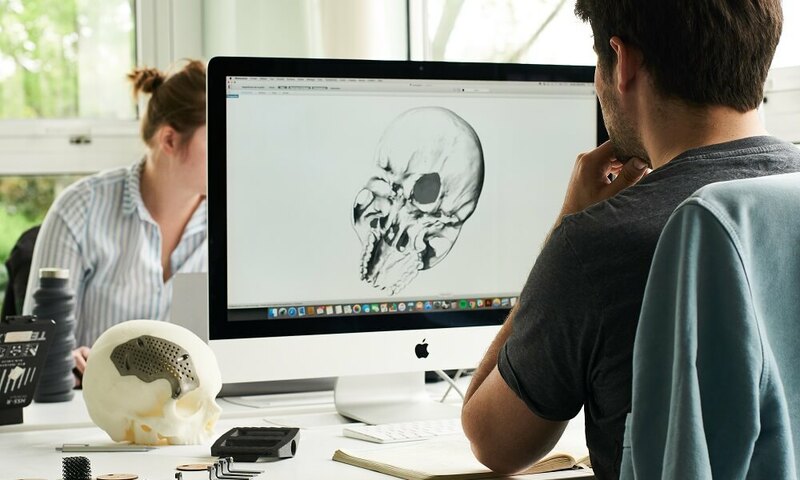 If you want to prepare your 3D models before 3D printing them using our online 3D printing service, don’t forget to take a look at our tutorial. Are you looking for a free 3D sculpting software? Sculptris, a CAD program developed by Pixologic might be a good choice if you want a digital sculpting program. Sculptris features are easy to learn so it is easy to get started with this 3D design software. It is quite similar to ZBrush, except that it is free. You build up levels of details step by step thanks to complete sculpting tools. It has all the software tools you need to work on graphic design and create your additive manufacturing project. Check our Sculptris 3D tutorial! This software is particularly great if you want to create 3D models for 3D printing. You can use it to create branching support structures, you can also use its great thickness analysis which is particularly useful to control the wall thickness of your future parts, ensuring that they are actually 3D printable and won’t break during the printing process. Do you need a little help to prepare your 3D models? 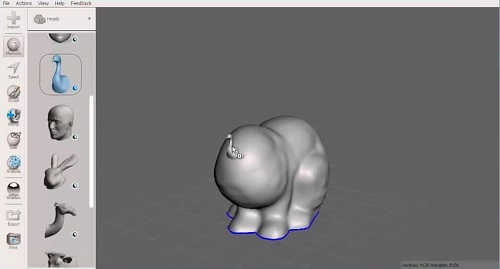 Take a look at our Meshmixer tutorial. FreeCAD is an accessible and flexible open-source parametric 3D modeler. This program reads and writes to many file formats which makes it a convenient program to integrate into your workflow. From product design to mechanical engineering, FreeCAD will help you to create your best 3D projects. It can really suit all CAD users using Mac! If you are looking for the best free 3D program, check out our last blog post we made a top of the best free 3D CAD software! 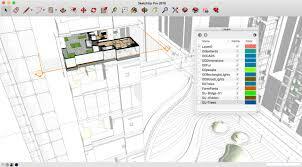 There are different versions available of this software: SketchUp Free or SketchUp Pro. Like a lot of other programs, SketchUp also has an educational license called SketchUp for schools. Using SketchUp Pro, you will access a very complete version of this software. You will be able to create from scratch highly-detailed models for 3D printing, but also for visualization. This program is well-used in the architecture or automobile sector, for example. While using SketchUp you can also find already made 3D models in 3D Warehouse, the world’s biggest library of free 3D models! Animation, rendering, simulation, Maya is a really complete 3D program with really advanced features, used in the film industry, for example. It has an intuitive sculpting toolset, it is possible to sculpt virtual 3D surfaces like you sculpt real 3D objects from clay or other modeling materials. It is also making symmetrical modeling much easier. Maya is an advanced software and will enable you to create complex designs. Developed by Autodesk, AutoCAD is also one of the best 3D modeling software you will find on the market. This computer-aided design software is perfect for any professionals, from engineers to architects. 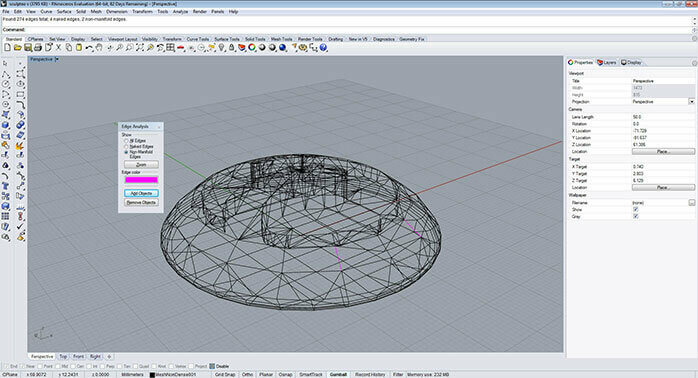 It is allowing to make drafts, edit 2D projects and 3D models for 3D printing. AutoCAD is a perfect program to create realistic 3D models, using solid, surface and mesh modeling tools! 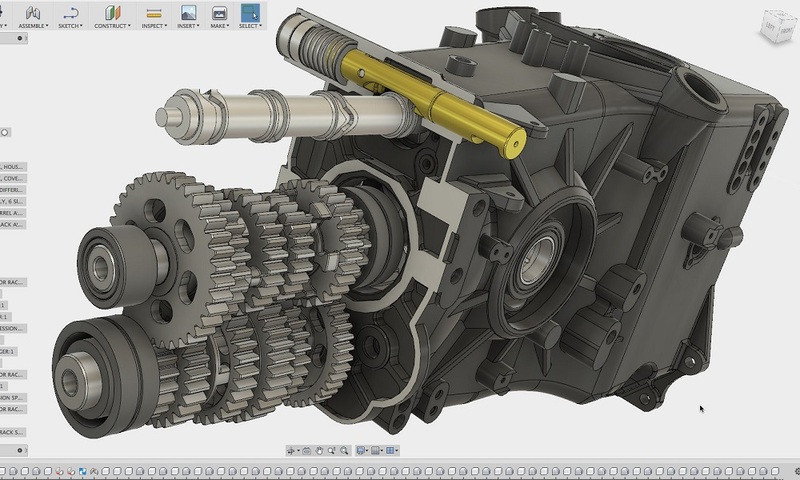 Use the direct modeling tools of Modo to create 3D printing projects. Modo has integrated sculpting and retopology functionality. It is a great software if you need to design characters. Modo has a flexible node-based rigging system which will make it easy for you to create, edit, manage and reuse complex character rigs. We talked about this powerful software in our recent battle of software. This software offers a cloud storage, which is really convenient while working on projects with a whole team: everyone can access the same files. This cloud-based system is a great asset for data management. It will ease the whole team’s daily work and improve collaboration. This CAD program has advanced simulation, optimization and analysis tools. Check out our tutorial to prepare your 3D model for 3D printing using Fusion 360. Rhino is also one of the best 3D modeling software available. You can totally purchase a Mac version of this program, but there are a few functionalities available with the Windows version that you will not get as a Mac user: work sessions and animation tools, as an example. All other CAD software features are available. Indeed, it provides mesh and analysis tools. Using Rhino, you can create, edit, render and translate NURBS curves, surfaces, and solids, point clouds, and polygon meshes. Cheetah 3D is a software specially built for Mac. It is easy to learn, powerful and allowing to create nice 3D artworks thanks to a full set of polygons, subdivision surface, and spline modeling tools. If you are a new CAD user, you will be able to start 3D modeling quite easily using this software! Easy to use, Cinema 4D is a powerful 3D modeling software with a user-friendly interface. Thanks to its wide range of CAD tools, you will be able to create great animations and even start amazing 3D printing projects. It is the perfect program if you are willing to achieve a complex design. There are 4 different version for this software: Studio, Broadcast, Visualize and Prime. There is necessarily a version that will fit your project! Are you looking for a cloud-based software? Here is OnShape, a program able to run on any machine through a web browser. This parametric modeling software can help you with multi-part design. This program really enables to collaborate thanks to real-time sharing and commenting. It can be a real asset for your team if you are working on a 3D project with other persons. 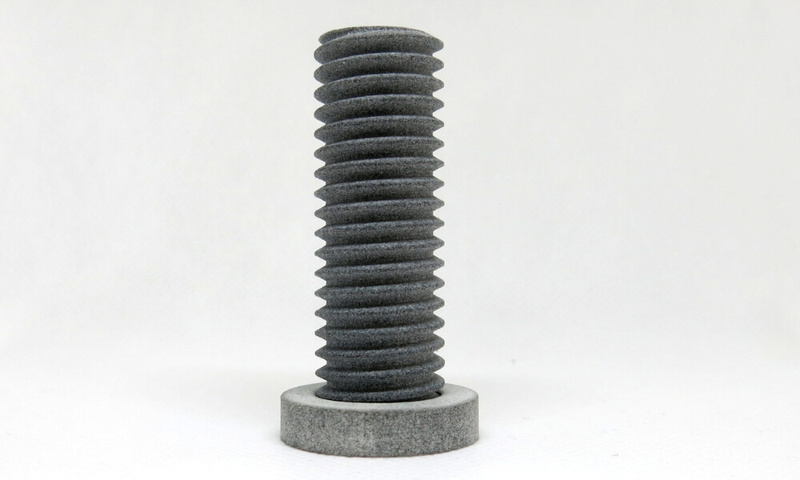 Once you will have your 3D model ready: get it 3D printed thanks to our online 3D printing service! You will just have to upload your file and we will 3D print it in our factory. These 3D programs we’ve just listed will make it really easy for you to create a 3D printable model using a Mac. You will just have to choose the 3D printing material and finishing matching you and order your 3D parts! Choosing the right software is not easy, but we hope that this little selection helped you to make the best choice for your projects. If you want more information about 3D modeling software, don’t forget to subscribe to our newsletter to get all the latest news about 3D printing.